I love my kitchen. It really makes cooking a meal feel more like mine. It really came our well. I love having company over. 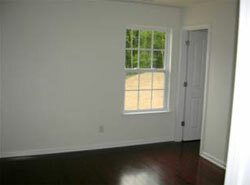 The Master bedroom is wonderful. Cozy and lovely. Before celebrating having a brand new home, many things should be taken into consideration. The house must be inspected thoroughly for completion of all aspects of construction according to the sale or builder's contract. Getting the most for your money during the construction process is stressful and time consuming enough. Now owning a house brings up another checklist in your life. One of the first things to consider in owning a house is the security details. Besides locks, deadbolts, and motion lights, many other home security features are available. From simple restraint on doors and windows, to the complicated CCTV cameras installed throughout the entire house and surrounding area, these features increase security not only for you but for your neighbors as well. It would be wise to ask your new neighbors about the area around your home in general in terms of peace and security. While you do not expect to have accidents or a disaster to happen in your new home, it is always safe to have adequate insurance for your house as soon as you move in. Fireproofing the home, as well as installing fire safety mechanisms such as carbon monoxide detectors and smoke alarms is imperative. Customizing the new house features to what is only necessary for one's lifestyle may be beneficial in lowering the insurance premium. 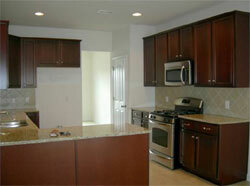 While this part may be included in building a new home, it is of great importance in a purchased house. Customizing your new home to fit to your lifestyle will greatly help you in starting out. Some of the house installations in your new home may not be essential for your lifestyle and may only be expense-generating features. Removing them may not only maximize your house worth, but increase its functionality as well. These changes may help you increase the homes overall presentation. This not only increases its aesthetic value, but actual value as well. Prolonging the house's lifespan will give you more value in the end. If simple maintenance work is neglected it will likely lead to bigger problems, which entails larger repair costs. The most susceptible parts of the house to repair are those that are used heavily and those being strained most of the time. Examples of heavily used parts of the house include those that are utilities-based, electrical, water and gas pipes as well as plumbing parts. 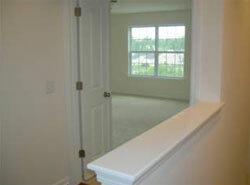 While those that are on continuous strain are mostly door and window hinges and other movable house installations. Regular inspections and early problem detection is the key in successful maintenance work. When first moving into a new home, this issue may not be significant. This item actually gives an avenue for money saving. Short-circuited electrical wiring may not only lead to various appliance breakdowns, but can easily cause a fire as well. In addition, leaking gas and water pipes not only increases your heating and water bills, but may cause many problems in the future as well. Installing utility consumption-reducing features makes living in the new home more comfortable and affordable. "Mortages eventual go away, but taxes are forever." That is one saying that always holds true. If your taxes are spiralling out of control relaize that a move might be in your future. Owning a new home entails a new set of tasks that can be easily done if taken seriously by the owner. Considering these issues not only brings security and reassurance to the homeowner, but makes living in a new home more joyful and comfortable. Thus, increasing the worth of money spent in buying or building this new home.